As the summer months approach let’s not forget the fabulous winter we have just had; great snow and epic cross-country skiing and snowshoeing. After such a successful season we’re excited to bring you our early bird season passes at the same price as last year but for a very limited time. Gather a group of friends, family, work colleague’s or just you and your significant other and go on an adventure. 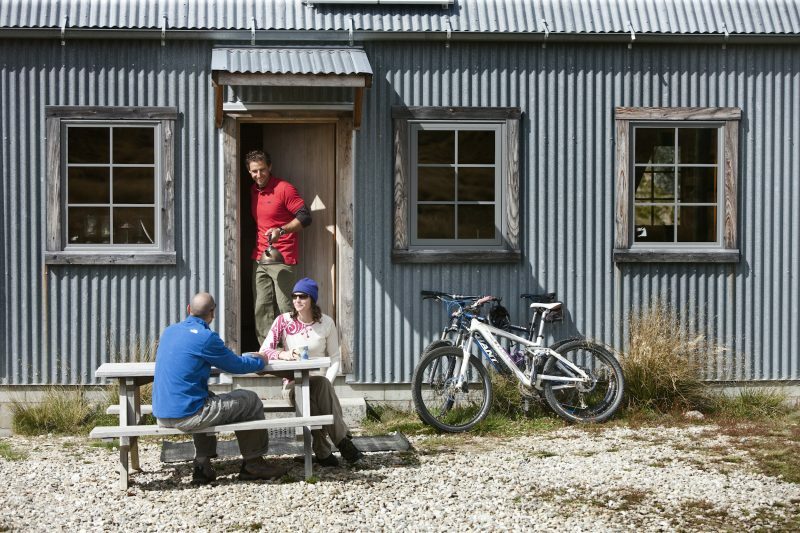 It only takes an hour to drive to Snow Farm and walk or mountain bike to the Meadow hut and it is only another 1.5kms to the Bob Lee Hut. Meadow hut sleeps up to 20 people and the Bob Lee sleeps 7 with an additional 7 people that can sleep in the separate Annex Hut. The Bob Lee has fantastic views across the valley looking back to Wanaka and over to the spectacular Mt Aspiring national park. Water, Gas cooker, pots, pans and cutlery supplied in each hut. The huts can be booked through our website the link below. Everything you need for a night is supplied. Just bring your sleeping bag and food. When booking the huts you can either book the entire hut or you can book by the bed. Only exclusive hut bookings will be allowed to take a support vehicle to minimise the impact on the trail network and only if conditions are suitable.